Did you know you can now order your Just Eat takeaway from Mehfil here on View? 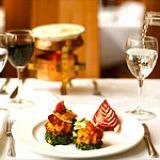 Mehfil Restaurant is a well established restaurant in Southall. They serve a range of Indian favourites on their menu and all their food is freshly prepared on the premises. Do you work at Mehfil? What did you think of Mehfil? I have been to Mehfil twice and think that it is an elegant restaurant handily close to Southall train station. I would say that the food at Mehfil is exceptionally good especially the Fish Amritsari and Butter Chicken. Highly recommended. A must visit if you appreciate authentic Indian cuisine. 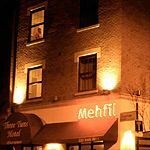 Mehfil is a top knotch place for a good curry. I went with some friends for a night out having come down from Yorkshire. I love a good curry and Mehfil provided. Well done! This place is great! This is a nicely decorated restaurant with authentic Punjabi cuisine. Location isn't the best as it's not near any bars-best ambiance is on a Friday or Saturday. Minor issue over the fact they supply in house mineral water (supposedly) and charge silly price for it, meals are not cheap and they don't give tap water. At last a good authentic Indian restaurant, I would place Mehfil in a much higher place than most of the rated restaurants in London. The only problem with Mehfil is that it is on the outskirts of London.